Find the right person, the best path in, and the right thing to say. A typical sales team gets up to 30% of leads from marketing. To be successful, today’s sales reps need to fill their own pipeline with high-quality prospects. Our sales prospecting tool provides unparalleled prospecting capabilities. With LinkedIn Sales Navigator, a sales team is transformed from a collection of individuals leveraging their own networks, to a team leveraging a company-wide network. Millions of sales professionals use LinkedIn every day for prospecting and networking, but only LinkedIn Sales Navigator helps companies create scalable social selling programs. TeamLink uncovers hidden connections to find the best path to higher quality prospects more quickly. By instantly broadening a sales professional’s network to include everyone in the company, teams can exponentially increase the number of reachable prospects. 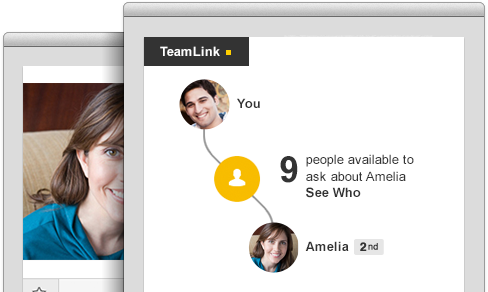 The TeamLink connections search filter yields prospects who have connections to your team, helping you focus on the best prospects. 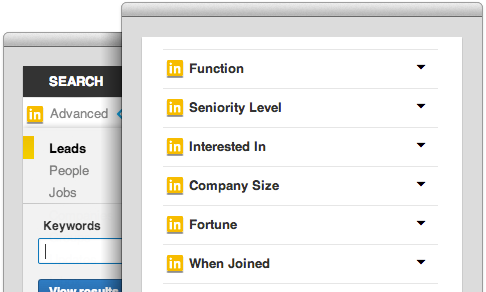 Find the right people in LinkedIn’s 225M+ member base. Create lead lists with Lead Builder using custom criteria to find new accounts, or upload your named accounts. Premium search filters help you find the right people faster. 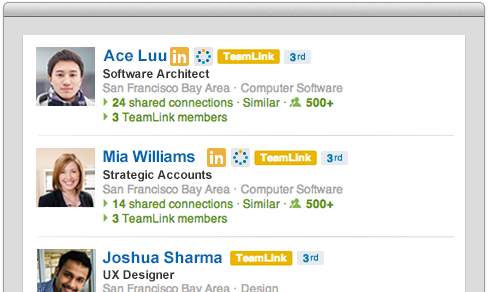 Filter by TeamLink Connections, Seniority, Company Size, and up to six more. Know more about prospects before reaching out. With LinkedIn Sales Navigator, you have access to profile details of 3rd degree connections including complete work history. The Sales Executive plan also displays full names of 3rd degree connections. Now sales prospecting is more effective with more data at your fingertips. 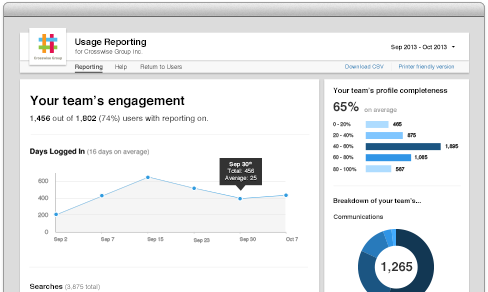 Get key insights into your team’s activity on LinkedIn, providing the data you need to make decisions about your program. Trend graphs help you gauge the adoption of your best practices and proactively identify red flags, and individual reporting lets you stay on top of which reps are excelling and which reps need more training and assistance. 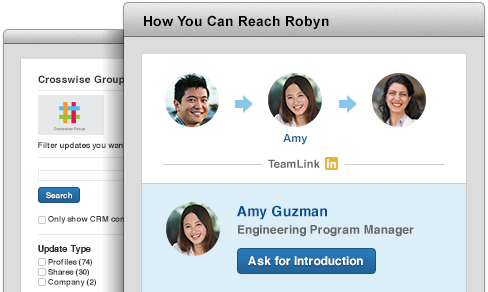 Turn your contact records into rich profiles by seeing LinkedIn information directly in Salesforce.com or Microsoft Dynamics. Search for new prospects directly in your CRM and view profile details including photos, current roles, and work history. Whenever you run a filtered search you can save it and we'll tell you when there's a new result to view. Bypass gatekeepers with InMail. Send messages to people outside your network even if you don't have their email address. Save and categorize profiles into custom folders. Organize by industry, account, or any way you prefer, and add notes to profiles. Get the whole list and see how they're finding you. Reach out to people interested in you to create new opportunities.